Practical, essential for the kitchen, the new containers of our Aroma line will capture your customers. The silicone seal ring and chromed metal lock ring ensures it being airtight. The transparent acrylic body allows the best view of the product while nice colours brighten the atmosphere. Honey-Can-Do SFT-02068 Stemware Storage Chest, Natural/Brown. Store up to 12 goblet-style stemware glasses in this 17x13.5 inch storage box. The clear view window lets you easily see the contents while the lift off lid simplifies access. Protective inserts help safeguard against chips or scratches. Remove the glassware inserts and this storage box turns into a great closet organization tool. Store sweaters, linens, blankets, or seasonal clothing. In classic off-white with brown accents, this stackable storage box will instantly upgrade any pantry or closet. Made of polyester and cotton canvas. 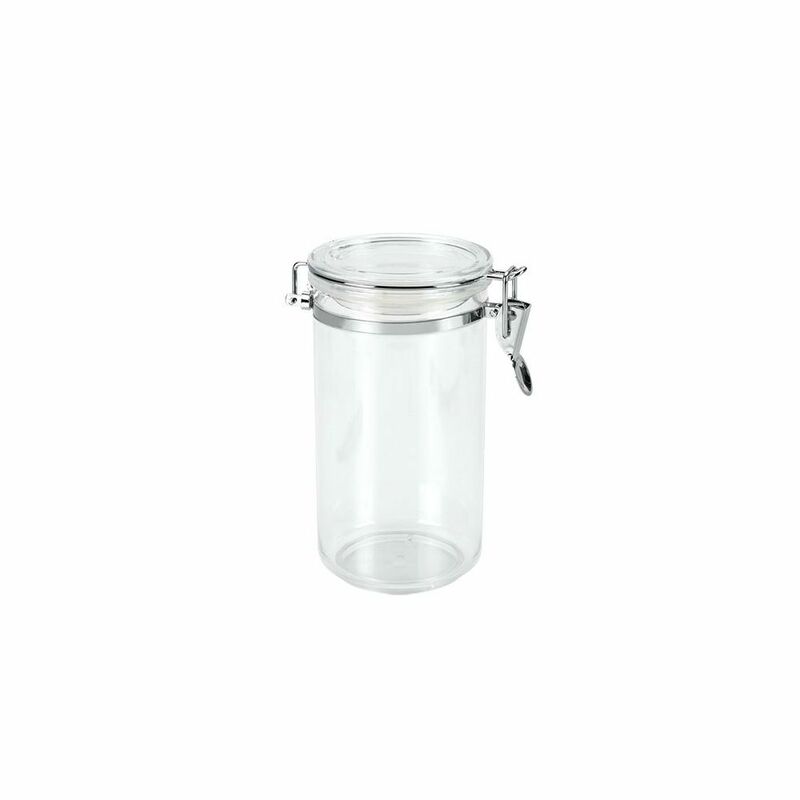 Aroma 1 L Airtight Container Practical, essential for the kitchen, the new containers of our Aroma line will capture your customers. The silicone seal ring and chromed metal lock ring ensures it being airtight. The transparent acrylic body allows the best view of the product while nice colours brighten the atmosphere.